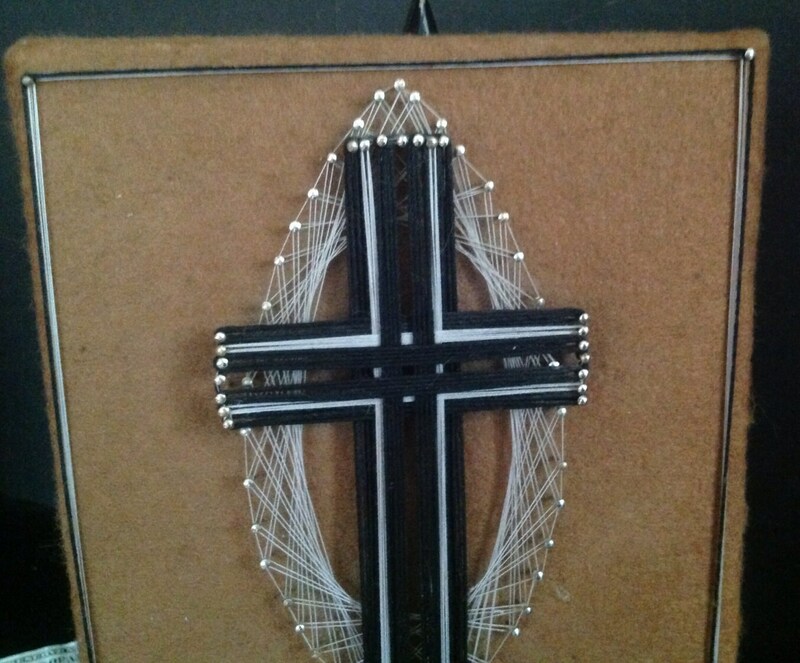 This example of l970's nail & string art features two religious Christian icons. 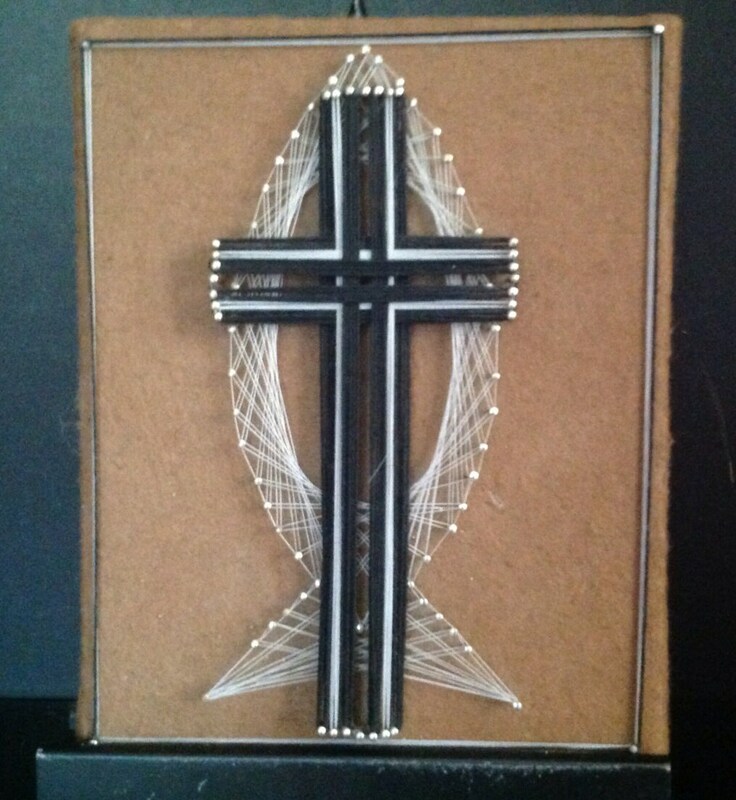 A black and white Cross overlays an all white Ichthus fish. The "Jesus fish" is an early Greek symbol combining the initials for Jesus Christ Son of God and Savior. 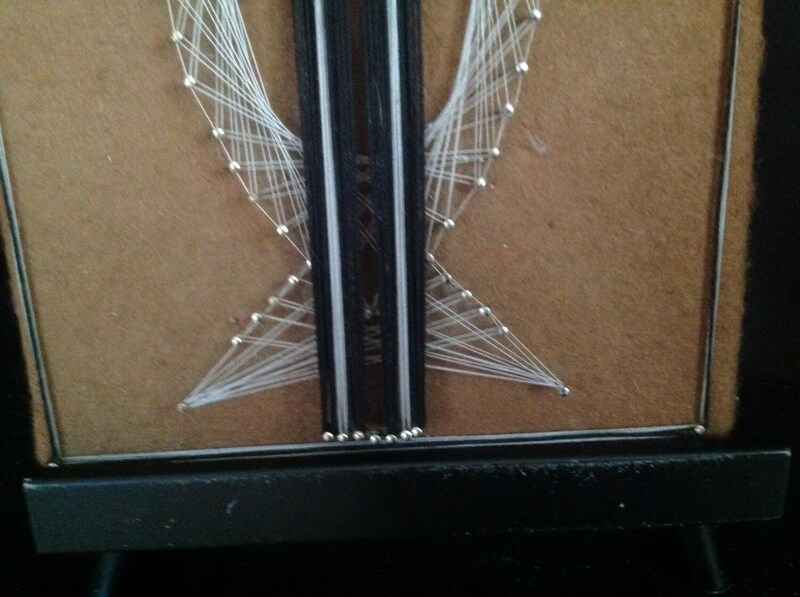 The design is framed with string. 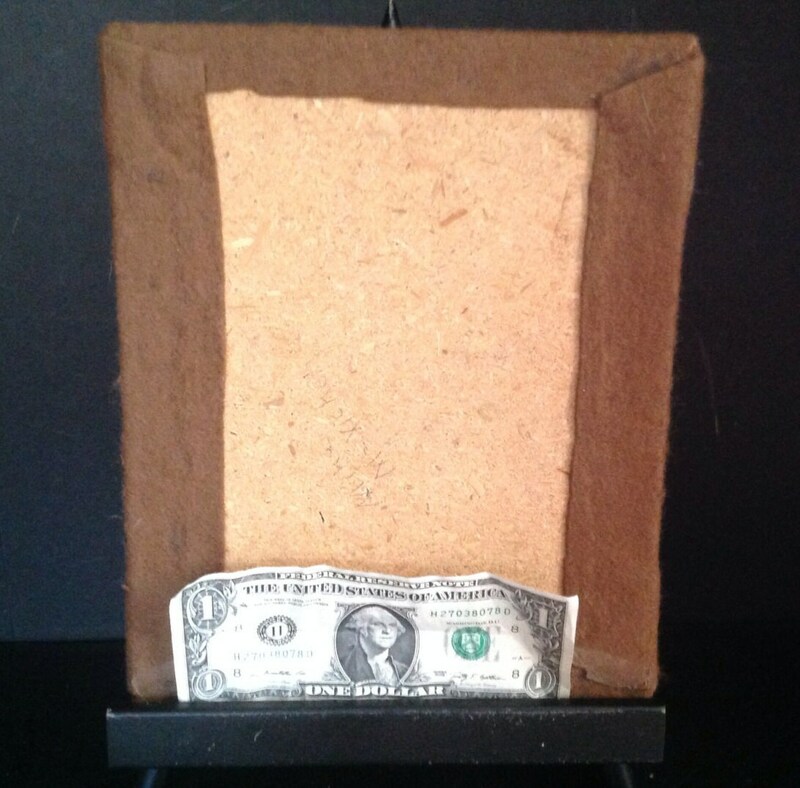 The background of the design is brown felt over wood. The workmanship is excellent. 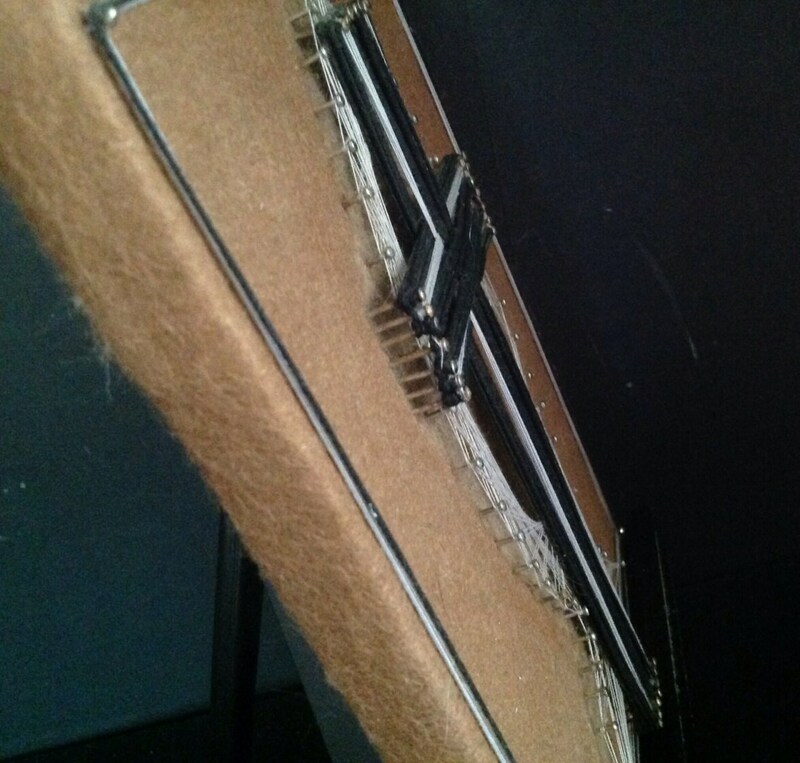 There are no missing nails or unraveled string. Great of of a kind gift. I realize shipping quotes may seem rather high, but I am attempting to cover the entire country. I always reimburse customers when paying shipping overages of $1.00 or more. When I overestimate shipping charges, I reimburse you. When I underestimate shipping charges, I pay the difference.